Termo (Noti) is an entirely new seating concept designed for public and living interiors. The collection uniqueness lies in the possibility of assembling various soft elements of the system - like blocks - into the hard open shell positioned on the ground. 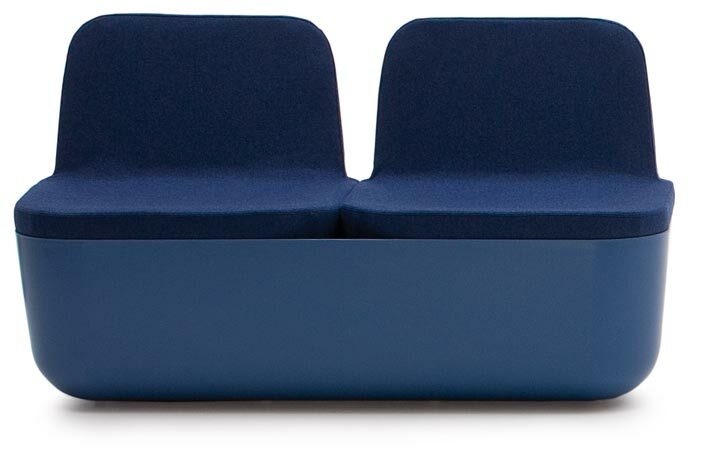 The variety of seat, puff and table combinations can be achieved within one product, which can also work well as a separate element of a grouping. This gives the architects and users a wide scope of possibilities to create limitless compositions of 1-, 2- or 3-module furniture. In case of public interiors the seat elements are assembled in a non-detachable way and it is also possible to fix the hard shell to the floor. 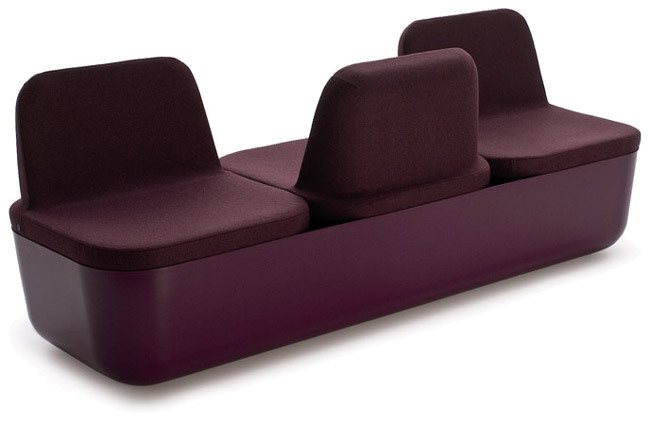 For living spaces the seat can be effortlessly unfastened, so that the hard shell can be used as a storage container.